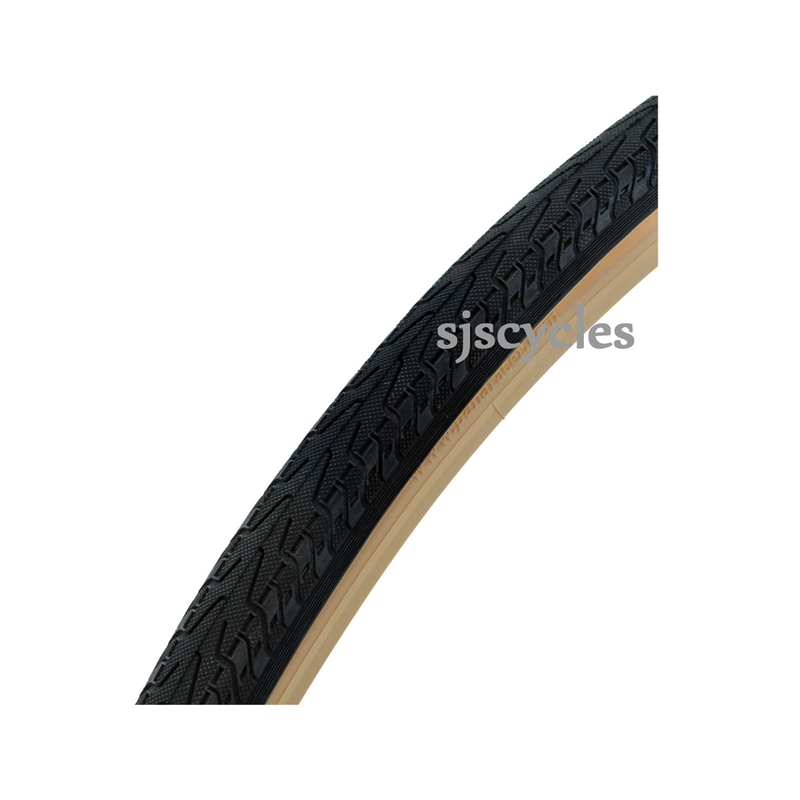 A nice tyre suitable for either road or touring cycles. Now one of the few remaining decent quality tyres available in this hard to get size. Ideal tyre for that retro look. Gret that it is available in 27" still, and will be for a long time to come, I hope. Good blend of lightness and durability. Very good product. The quality is clear and it looks great. It is however a light tan wall, a few shades lighter than the Michelin World Tour I have on the front - and far better. Can I use these tyres with Weinamann 27 x 1.1/8 rims? A few weeks ago I purchased 2x Schwalbe 28/32-622/630 inner tubes and 2x Panaracer Pasela Prolite folding 27x1.1/8. I put them on Weinmann rims and inflated the first one to about 80 PSI, The tyre states 105 PSI or 7.4 Bar. The first one burst whilst I was building the bike but the tyre survived, the second burst wrecking the tyre as I was riding through my village at about 10 mph. Luckily it was the rear tyre. I have replaced the front inner tube with a Vittoria and it seems to be okay, but I am now without a rear tyre and down two inner tubes. What am I doing wrong? Yes these tyres will fit. We cannot really comment on whats going wrong as we have not got the bike / tube/tyre/wheel here in person to assess/see your fitting etc. You may be best popping to a local bike shop for assistance. Would Panaracer Pasela part number 1026 fit Mavic 17 mm wide rim. This tyre would be fine for use on a Mavic rim with a 17mm internal rim width. Does This Tyre Have A Wire Bead? This is the rigid version so does indeed have a wire bead. are these tyres suitable for hookless rims. any in 27by 1 1/4 which are. All tyres are now designed with hooked rims in mind, so it is hard for us to say with any certainty if any of these tyres are suitable for hookless rims. These Panaracer Pasela tyres are very popular on older bikes and we've never heard of any fitting issues with them so these probably would be the safest bet, but we can't say for sure i'm afraid. Which Inner Tube Do I Need For This Tyre ? We normally recommend Schwalbe inner tubes and for this size you'll require the size 17. If you use Schrader valves (AV17) these are SJSC part 3857, if you use Woods/Dunlop valves (DV17) these are SJSC part 3872 and if you use Presta valves (SV17) these are SJSC part 3830. There is no minimum pressure recommended for the tyre, but as the maximum recommended pressure is 95PSI then you should be fine with between 85 and 95PSI in them. Unfortunately not, this is a rigid tyre.